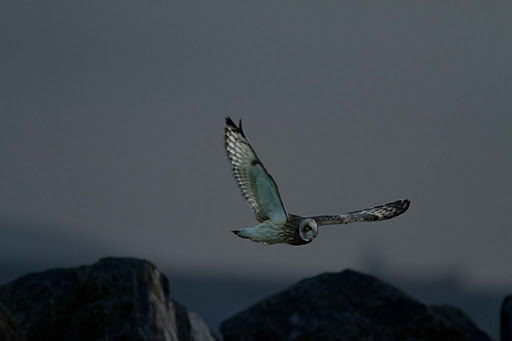 Late afternoon , early evening just as the sun dipped behind the clouds in the west , using a high iso , i just caught this Short eared owl dipping over the sea wall rocks in front of me. the wind had dropped a bit by this time , after what had been a sunny but cold and windy day. 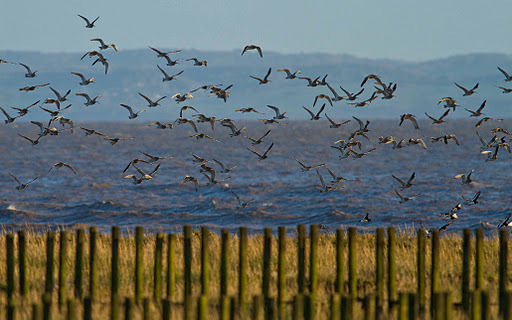 Earlier ,as the tide was moving in a large flock of Curlew kept shifting around. 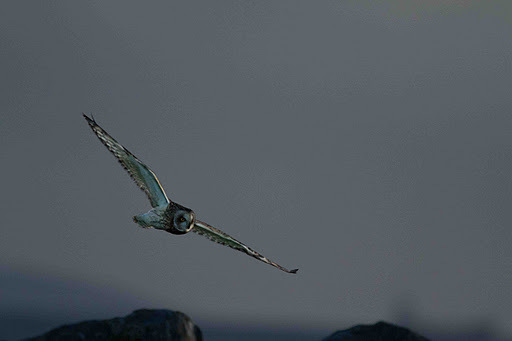 Excellent Tim, Haven't looked at mine as yet, but love the feeling of the dying light. Thanks for your efforts yesterday as well, really feel like getting going again after so long – much appreciated.